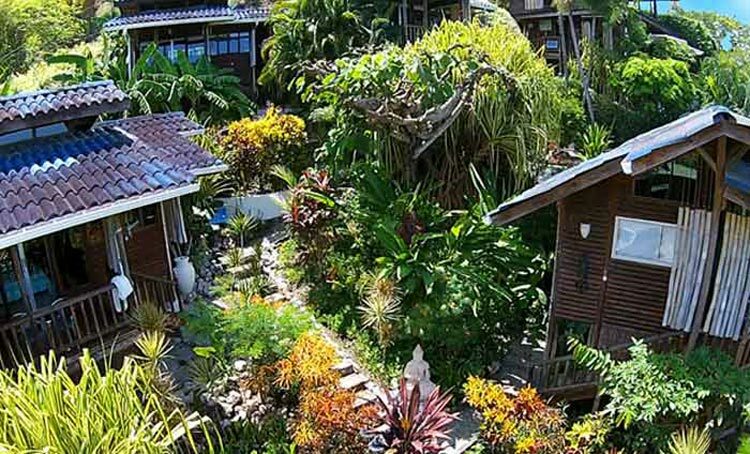 The Horizon Yoga Hotel is situated on a hill-top, on one of Costa Rica’s most secluded gems, the beautiful Nicoya Peninsula. This hotel overlooks amazing views of the Pacific Ocean and Santa Teresa Beach. From this hotel it takes just few minutes to reach the white sands of the beautiful beach of Santa Teresa. While staying at this hotel, owner and staff of the hotel will ensure you enjoy a comfortable stay and have a life time experience. 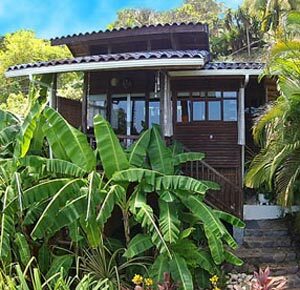 Here you will get an amazing Costa Rican experience along with divinity. People who are seeking a place for enjoying tranquility and seclusion from the hustle and bustle of everyday life, you can choose Horizon Yoga Hotel. This hotel provides four private wooden cabins built with local wood products and fitted with large ceiling-to-floor windows. All of these cabins are set on different levels on the slope above Santa Teresa. These cabins are featured with queen size beds with orthopedic mattresses and can accommodate up to four guests. Constructed with tile floors, each of the rooms include air conditioning, safe deposit box, wireless internet access and bathrooms with hot water. These cabins also have private balcony with chairs and hammocks and from there you can enjoy stunning views and breeze of the ocean. In each of the cabins you will find a fully stocked kitchen. The Horizon Yoga Hotel has an unique vegetarian restaurant that offers an assortment of healthy meals including rich salads of fruits and vegetables, toasts, special muesil, antipasti home made cookies and breads, and omelets. While enjoying your food you will also enjoy watching an amazing view of the Pacific’s breeze. This restaurant serves food from 7:30 AM till 3:00 PM. All the delicious meals are prepared with finest and freshest products grown in its own herbs and collected from the local organic market in Santa Teresa. Adjoining to the restaurant there is a tea house that offers several types of fine tea, cappuccino, espresso or fruit shake. This hotel has an open air yoga studio on its property’s highest point. This hotel offers daily yoga classes here and all the classes are instructed by trained and experienced yoga teachers. While enjoying yoga workouts in this studio, you will also enjoy watching the vast expanse of sea and tropical gardens below. All the classes usually follows the method of Sivananda, Vinyasa and Pilates. In September and October the hotel and restaurant remain closed and the studio also doesn’t offer any yoga class and the classes resume in November. This yoga studio also offers special prenatal yoga classes. You will not only enjoy Yoga workouts but also can become refreshes, relaxed and rejuvenated by taking the Spa services that offered by the hotel and this service include Thai massage, deep tissue , reflexology and shiatsu. Santa Teresa has different beaches with suitable surf spots that makes this place a paradise for the surfers. Both long boarders and short boarders will find this coastline ideal for surfing. The surrounding area offers a variety of options to enjoy fun and adventure activities. You can go for horseback riding that will allow you to enjoy exploring amazing white sands and the stunning beauty of the surrounding area. For enjoying the amazing views of coast and surrounding islands, you can go for morning Kayaking and can enjoy floating in the warm waters. If you want to enjoy incredible marine life, you can go for snorkeling. Venture into one of the surrounding nature reserves is a great option to explore the lush flora and fauna, a world of tropical birds and wild animals like iguanas, monkeys and many more.